Copyright �2015 PopEntertainment.com. All rights reserved. Posted: October 26, 2015. Whatcha sayin�? Fargo�s comin� back? Oh, ya. The second season is startin� out real good. There are few stories in history that seemed less likely (and frankly more impossible) to revisit than Joel and Ethan Coen�s classic 1996 film Fargo. The wonderfully quirky crime comedy drama about low crimes, high passion, "Minnesota nice" manners and general incompetence in the American tundra won Oscar gold (Best Screenplay and Best Actress) for its off-the-wall mixture of the surreal and the mundane. The film starred William H. Macy as a cuckolded Wisconsin car dealer who hatches a lame-brained plot to have his wife kidnapped for ransom, Steve Buscemi and Peter Stormare as the squabbling punks who pull off the caper and Frances McDormand as the decent and hugely-pregnant sheriff who cleans up the bloody aftermath. It seemed almost crazy when FX picked up the title to turn into a TV series. And it may have been, had they not found the perfect steward in show-runner Noah Hawley. In fact, when FX took the Coens the pilot script which Hawley had created, the famously prickly brothers allowed that they were no fans of imitations, but that Hawley had completely captured their world. Therefore the Coens signed off on the show, giving their blessing and complete creative control to Hawley. Hawley took the ball and ran with it. The first season of Fargo was a popular and critical success. The oddball story of a loser travel agent (Martin Freeman) and a remorseless hit man (Billy Bob Thornton) whose chance meeting in a hospital waiting room leads to a trail of bodies. In the meantime, the local small-town cops (Bob Odenkirk, Colin Hanks and a breakout performance by Allison Tolman) try to curb the sudden crime wave. Turns out that Fargo is not even trying to continue the first season storyline. Other than the basic setting, quirky vibe, and a couple (so far) of recurring characters, the second season is completely separate from the first go-around. Much like American Horror Story, the series is doing a pretty much complete reboot, starting off with a fresh and different plotline and characters. It is similar in feel to the last season, but at the same time, totally different. Season two is a period piece, going back to the polyester-wearing, big-hairdoed world of 1979. Back to the days of gas embargos, Three Mile Island, Superman, Iranian hostages, paisley shirts with big collars and the last days of disco. Executive producer Warren Littlefield, the former head of programming for NBC (Bob Balaban played a funny, fictionalized version of him in several episodes of Seinfeld) loves the changes that Fargo has come up with for the second season. "This year, our thematic is quite different," Littlefield explained to me before a recent PaleyFest event celebrating the new season in New York. "It�s 1979 and we really played along in holding up a mirror to what was going on in America at the time. The thematic is the Walmart-ization of America, big business gobbling up mom and pop businesses. In our world, that means the Kansas City crime syndicate is going to do a hostile takeover of the Gerhardt crime family. They resist. Stuck in the middle: Ed and Peggy Blomquist, hairdresser and butcher. And a war erupts. We think we�ve enveloped a lot of what was going on in the country at the time. We love that the DNA I think can be true to the Coens� vision. But only part. It�s a different story, different time period, and yet it�s still Fargo." "I just think there is nothing like it on television," agreed actress Cristin Milioti, who plays the cancer-stricken wife of the local state police chief, played by Patrick Wilson. "There�s nothing like it. It�s so remarkably unique. It honors that dark and weird world of the Coen Brothers� Fargo, while remaining its own entity, which is so hard to do." Of course, being Fargo, it�s got its own little oddball twists and turns, like UFOs and a supporting role of an visiting, eccentric soon-to-be-President Ronald Reagan (played by cult-fave Bruce Campbell). Campbell�s old Burn Notice co-star Jeffrey Donovan has the more significant role as the oldest son of the Gerhardt family. Donovan is also intrigued by the series� new direction. 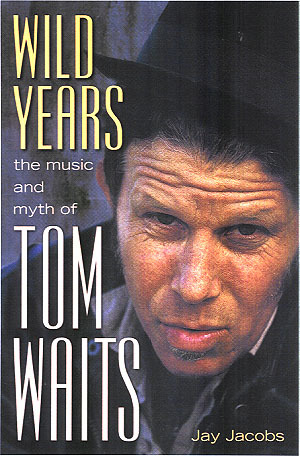 "Noah wanted to tap into the late seventies, which is like you say about the Walmart-ization of the mom and pop shops. This year to an extent flows on �well, let�s look at gangs.� Let�s look at the mob, the mom and pops, just like any other corporation. I thought that was fascinating." "It�s a different story, first of all," agreed Kirsten Dunst, who plays hairdresser Peggy Blomquist. "It is period. A different cast. It feels like more cast members almost I think this season. It has a different feel, how they cut it together. It�s more comedic, I want to say. I feel like it�s more of a comedic tone." "There is that, and America as a throwback," Donavan continued. "I don�t think guys are like this anymore, and I don�t think they are allowed to exist anymore. It was an era where you wore the line of the law in the back yard and you thought it extended outward. So it�s a really unique role. I�ve never played this kind of guy before. And obviously to come off of Burn Notice and play something like this was very exciting." It was in the 1970s that the American dream of building a small business to support your family, hopefully for generations, started to crumble. Little local stores and restaurants started getting muscled out by huge chains, who had the financial means to undercut and outlast their competition. Things became a little bit more convenient � perhaps � but personalized service and a sense of community was stomped into the dust. "It�s a small-town look at grand themes," Donovan said. "When you talk about �Walmart-ization,� what you�re really talking about is: How does one CEO, or the word of people, decide that the bottom line is the really important thing, therefore how do we lower our bottom line? The bottom line can be lowered by sending things overseas. When you walk in the doors of Walmart, 99% of it is made overseas, where there is very, very cheap labor. There�s no atoning for the lives you are destroying when you do that." "The mom and pop companies [are] going away," Dunst agreed. "I know it�s that way. Even in New York, I was talking to someone today about my [old favorite] local place, but places like that don�t exist anymore. It�s all Starbucks. It�s just the environment we live in." "When you look at Fargo, I think Brad Garrett�s character Bulo, and Bokeem [Woodbine]�s character of the enforcer, they say it�s all about the bottom line," Donovan continued. "It�s all that matters. They don�t care who dies, who lives, as long as it makes money. Cold, calculating times, it�s a really interesting thing to display." Donovan�s mother is played by former Designing Women star Jean Smart. Her husband has just suffered a debilitating stroke, so now it comes down to mother to keep the family together against the outer forces that want to destroy their family business � which just happens to be organized crime. "It�s fun to play her," Smart said. "She�s torn between being a mother protecting her children � she�s already lost at least one � and also doing what needs to be done to keep the business together. She�s not an easily intimidated person. She�s a mother, so... That�s her weak and her good spot." "I think Noah writes so beautifully for women," Milioti said. "He writes really strong women. Unfortunately, that�s a bit of a rarity. Not a bit of a rarity, it�s an extreme rarity nowadays." One of the more complicated female characters is Peggy, played by Dunst. She seems to be a sweet, naive and pleasant small town woman � fairly happily married and hoping to eventually open her own hair salon � whose life is thrown into complete chaos after a late night auto accident. "She has tunnel vision about going to this seminar," Dunst said. "I think her tunnel vision about that now becomes this accident that happens. She becomes a terror within that. She�s just shifting to something else. In a way it brings her and Ed together. It�s almost like a love story, in a twisted way, about how far you�ll go for somebody. They�re like the uncool Bonnie and Clyde. That�s what I think." Dunst laughed. Milioti had previously been the female lead in the popular Broadway musical Once before making her mark on television as the titular mother on the last season of the popular sitcom How I Met Your Mother. She plays a mother also in Fargo, (and like her How I Met Your Mother character, this mom is also fighting a life-threatening disease), but otherwise the characters could not be any more different. "I think there was way more beneath the surface than you initially meet," Milioti said about her character. "She�s very easily written off as a homemaker, and she�s ill, but that�s the tip of the iceberg. Still waters run very deep." In fact, in one of the little winks at the other Fargo worlds, Milioti�s daughter is a little girl who will grow up to be the character that Allison Tolman played in the first season, and her husband is also a significant cog in the story. The first season also had some little Easter eggs towards the movie � a businessman played by Oliver Platt made his fortune after finding the money buried in the snow by Steve Buscemi in the film. Littlefield enjoys the fact that the show has this tightly interlocked history. "In year one we certainly gave a nod to the movie," he said. "In year two, we give a nod to year one. If you remember, Lou Solverson, who was played by Keith Carradine in year one, is now played in year two by Patrick Wilson. He�s 35. He�s come back from Vietnam. He thought he left the madness behind, when in fact it�s right at his doorstep. That�s our connection to the previous year. We like connectivity, but they also stand on their own. If you�ve never seen the Coens� movie... shame on you.... But here they don�t have to see the movie. They don�t have to see year one. They can just come to it fresh and enjoy our Fargo world." Bokeem Woodbine, who plays an arrestingly friendly hit man targeting the Gerhardt family � he may become the new season�s breakout character, as quietly unnerving as Billy Bob Thornton was last year � also enjoys the interlocking worlds of Fargo. "The mythos of Fargo," Woodbine mused. "The legacy of Fargo. The world of Fargo. I believe that we are contributing a very intrinsic and integral aspect to Fargo. We are going back in time. We are planting roots and sowing seeds. I almost want to say that one could watch season two and then watch season one and be entertained. Or you could watch season two and then watch the movie Fargo and then watch season one. So I do believe that it is a necessary part of Fargo in its entirety." Milioti admitted that when she worked with Ted Danson (who plays her local-sheriff father in this season of Fargo) she had somehow never seen anything he had done before. She was impressed by the guy�s work and asked him for his reel so she could see some more of his work. Danson had to explain to her that he had once been the star of a popular series called Cheers and had done dozens of films and series since then. It�s an extremely strong cast, one that is a pleasure to work with says Smart. "It was great. Of course I didn�t get to do scenes with everybody. There were a lot of actors I never saw except in passing sometimes in the make-up trailer. �Hi! How are you doing?� But, it was incredible. There�s a really amazing cast." That amazing cast gets repaid by getting the opportunity to act at the offbeat pace of Fargo. The show has a very quiet, polite, almost mundane conversational vibe � everyday people speaking smartly but normally � which is suddenly interrupted by extreme acts of violence or off-kilter plot developments. Woodbine loves the dichotomy of this. "Oh, it�s amazing how much pleasure you can get from interjecting the absurd into the mundane if you will," Woodbine said. "Because in life, I�m sure you believe, we all have had moments where we almost feel as though maybe somebody might be filming us. Something so bizarre will happen, or a sequence of events, you can�t believe almost that you�re actually experiencing something like this. It seems like it�s out of a movie. I�m sure you�ve had experiences like that in your life. I can�t believe this is actually happening. This is so weird. I have as well, had moments like that. Fargo somehow captures that. They somehow have figured out how to put on film those bizarre moments. The humor of the gods." Donovan agreed with this. "It�s fun to play in any world where authenticity is rule one," Donavan said. "Then if you can find darkness and humor, and you�re still in the same scene, that�s pretty enjoyable as an actor." Even the women, who have less of a part in the more shocking moments, enjoy that wild and unpredictable feeling of volatility. "Peggy doesn�t really get [too many scenes like that]...," Dunst admitted. "Well, I do, but I don�t really get the major action like that. I do more... well, you�ll see. I get to do some really weird things." "I don�t really have much of a part in the... well here I�ll say... in some of the violence," Milioti allowed. "But it�s an amazing line to toe." "It�s an interesting tightrope for them to walk," Littlefield agreed. "Because, first and foremost we are a drama, but also crazy, crazy things happen. As we unravel them, in the cold of winter in our frozen tundra land, that�s where real people are. That is sometimes tragic and sometimes very funny and sometimes both at the same time." CLICK HERE TO SEE WHAT JEFFREY DONOVAN HAD TO SAY TO US IN 2010! 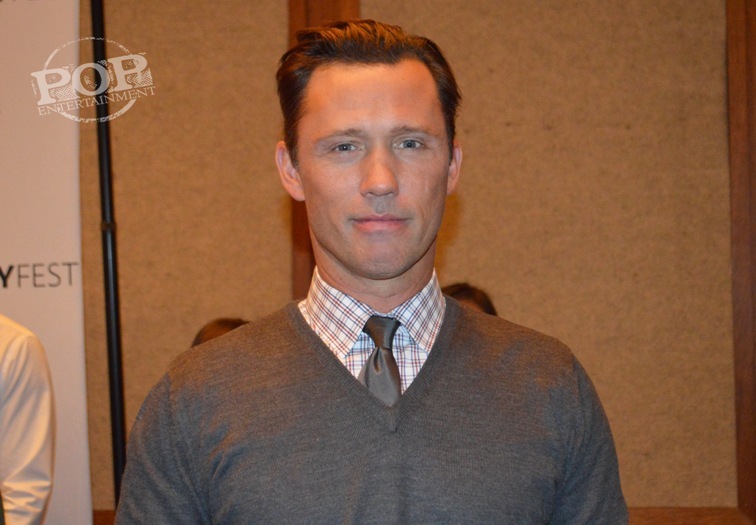 CLICK HERE TO SEE WHAT JEFFREY DONOVAN HAD TO SAY TO US IN 2012! #1 �2015 Jay S. Jacobs. All rights reserved. #2 �2015 Jay S. Jacobs. All rights reserved. #3 �2015 Jay S. Jacobs. All rights reserved. #4 �2015 Jay S. Jacobs. All rights reserved. #5 �2015 Jay S. Jacobs. All rights reserved. #6 �2015 Jay S. Jacobs. All rights reserved.